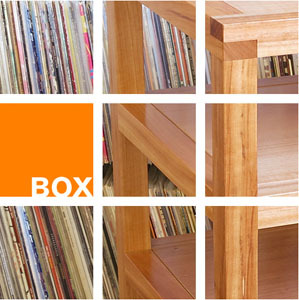 Box racks have been carefully tuned to act as the perfect launch pad for your valuable electronics. Equipment and rack must resonate sympathetically in order for your speakers to produce their potential. Remember, sound is vibrations and how the entire stereo system vibrates will dictate on what you hear from your loudspeakers. 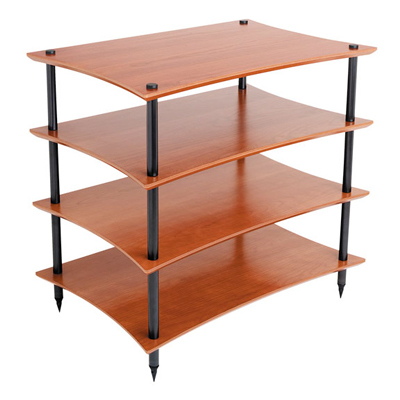 Box Furniture racks are designed to be elegant and beautiful, with clean lines and warm tones. They will gracefully augment any decor and make your system look as beautiful as it sounds. Quadraspire designs achieve optimum isolation through a combination of distinctive curves and chamfered edges minimizing resonance and standing sound waves. Aluminium columns eliminate residual magnetism and the adjustable spiked feet allow efficient floor de-coupling. Real wood-veneered shelves ensure good self-damping properties.